Buying a Home? Did You Factor in Your Child’s Needs? You've chosen the ‘best school’ for your child. What about ‘best home’ for your child? Like most urban parents, Priya and Rohit are highly critical and choosy when it comes to schooling for their little one, Jiya. They want to ensure that their daughter learns and evolves in a nurturing and caring environment that unleashes her potential. They want her school to provide the best of facilities, infrastructure, safety, and security. But does this comprehensive checklist apply to their search for residential homes that are kid-centric? One day, Priya came across an article in a parenting blog. It pointed out that many parents spend weeks and even months searching for the best schools for their children. 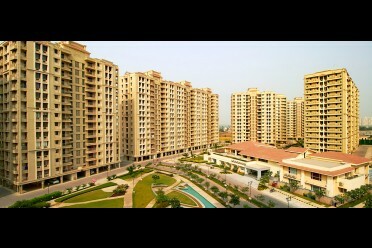 But they often do not look for a child-friendly community, design and amenities, while buying a home. “Home is a place where our kids spend most of their time”, Priya explained to Rohit. “ How come we never thought of looking for a home that focuses on the needs of Jiya?”, she asked. She then started searching for properties where there were amenities for Jiya so that she could spend quality time learning and interacting with other children after school. She finally came across the concept of “Kid-Centric” homes. Priya and Rohit then decided to take a tour of a popular kid-centric home in Bhiwadi along with Jiya. Upon entering the gated community, they met the sales executive. He explained how child-centric homes are different from normal residences in terms of design, intent and facilities. 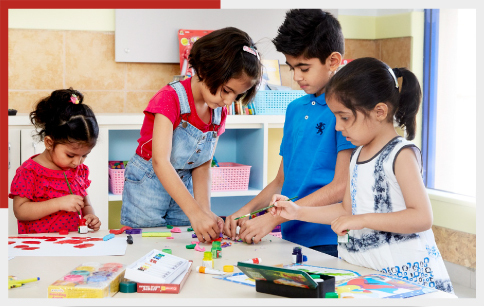 The kid centric activities are designed to provide children with opportunities to explore multiple facets of learning and development. These include open and green spaces as well as world-class sports facilities like synthetic tennis courts, indoor badminton, skating rinks, swimming pools, etc. They were most impressed with the learning hub for children. There were a number of classes that were conducted keeping in mind kid centric parenting by specialized coaches and teachers to enhance the learning and development of children. The tour of the library that had over 2000 book appropriate for all age groups, impressed them alike. Rohit and Priya, looked at each other, as they both were avid readers and always wanted to inculcate the same habit in Jiya. They made their decision to move into a child-centric home. Jiya’s school offers a great learning environment. But by living in a child-centric home, her after-school hours at home too are full of learning, interaction, sports, and activity classes, that foster her overall development and growth, in a safe and secure environment. Thank you for sharing contact details here, our executive will contact you shortly.